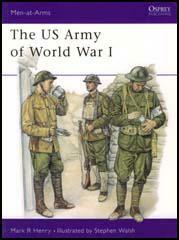 In 1914 the United States Army comprised 98,000 men, of whom some 45,000 were stationed overseas. The regular army was backed up by the 27,000 troops in the National Guard. In December 1914 General Leonard Wood helped to form the National Security League and began arguing for conscription as a means of increasing the size of the US Army. President Woodrow Wilson responded by increasing the standing army to 140,000 men. When the USA declared war in April 1917, Wilson sent the American Expeditionary Force (AEF) under the command of General John Pershing to the Western Front. The Selective Service Act, drafted by Brigadier General Hugh Johnson, was quickly passed by Congress. The law authorized President Woodrow Wilson to raise a volunteer infantry force of not more than four divisions. All males between the ages of 21 and 30 were required to register for military service. 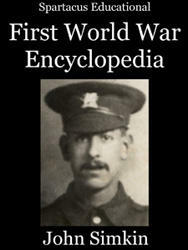 By 12th September 1918, 23,908,566 men had registered. 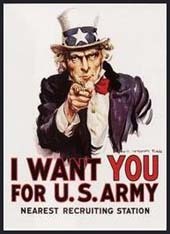 Around 4,000,000 men were ultimately drafted into the armed services. Of these, 50 per cent served overseas during the war. By July 1918 there were over a million US soldiers in France. General John Pershing deployed US troops to help the French defend the Western Front during the 3rd Battle of the Aisne in May and at the Marne in June. US troops also took part in the Allied attacks at Le Hamel and Canal du Nord before Pershing launched his own offensive at St Mihiel and Meuse-Argonne. More than 2 million troops eventually reached Europe but a large number arrived too late to see any action. 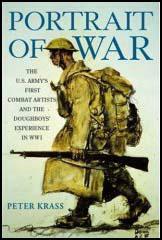 The American Expeditionary Force suffered 264,000 casualties during the war. It has been calculated that 112,432 Americans died. Of these, around 50 per cent died from disease (mainly influenza). About 200,000 Afro-Americans served in the United States Army in Europe, but only 42,000 were classified as combat troops. Completely segregated, they fought with the French Army during the war.